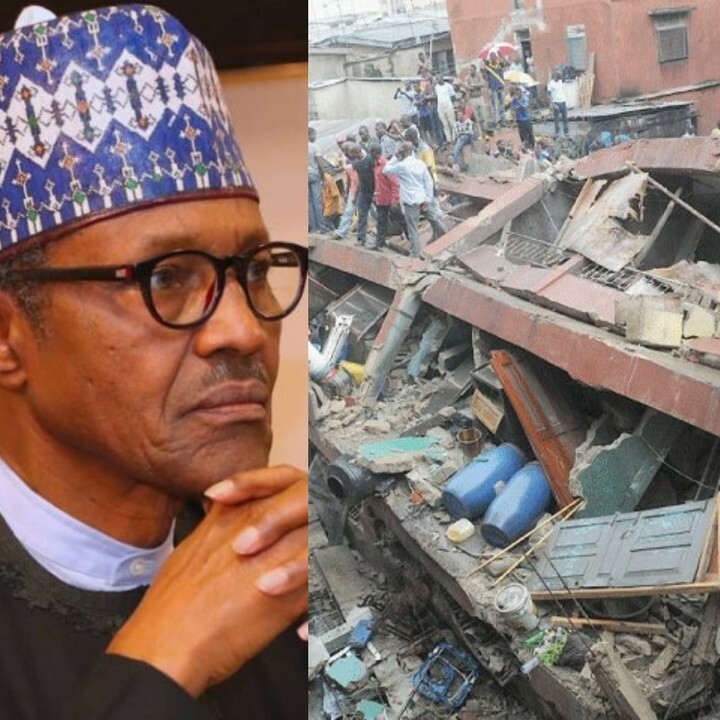 President Buhari reacts to school building collapse in Lagos Island. President Buhari has reacts to collapsed school building where over 100 pupils are reportedly trapped in Lagos Island. Buhari also charged the Lagos State Government to do all that is needful, so that such tragic development do not reoccur. collapsed building in Itafaaji area of Lagos. It touches one to lose precious lives in any kind of mishap, particularly those so young and tender. 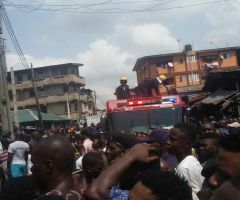 May God grant everyone affected by this sad incident fortitude and closure "
BREAKING: Children Feared Killed, Others Trapped In Lagos Building Collapse. 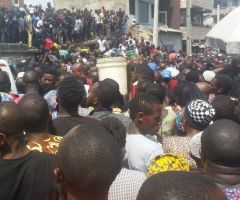 Lagos Building Collapse: Woman commits suicide after losing two children. 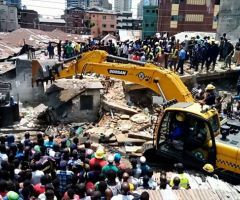 Five School Children Rescued From Collapsed Building In Lagos.